[UPDATE]: If you want to see the street and place name search web-apps I created, click here. 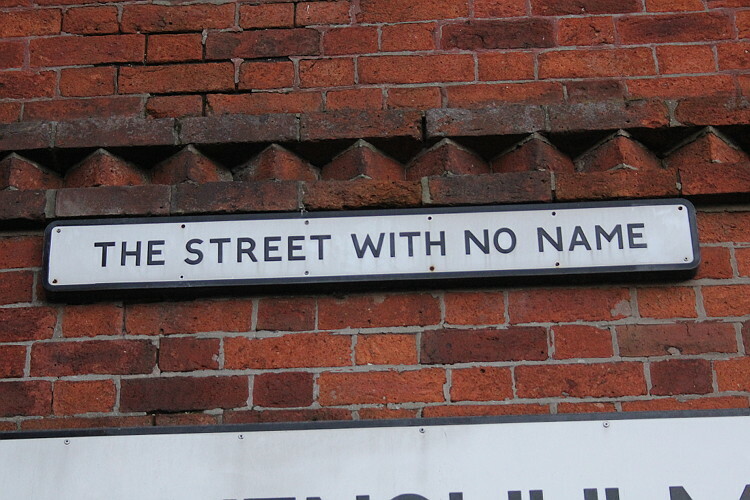 According to the OS, there are 41,652 named populated areas in the UK, with 783,351 named streets. Not all of these streets are in public places – some are inside places like power stations, and private estates. NOTE: I did find quite a few errors in the Ordnance Survey data, so none of the information in this post can be 100% guaranteed. Soz. The place name which comes last alphabetically is Zouch near Loughborough. 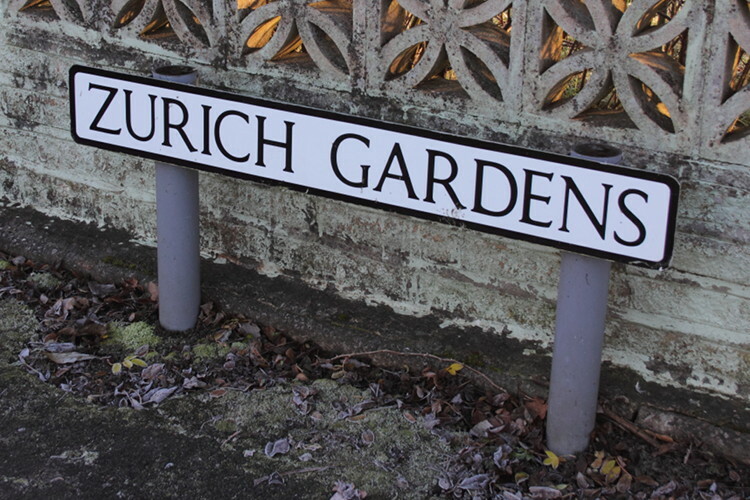 The street name which comes last alphabetically is Zurich Gardens near Stockport, Cheshire (note 1). As for which place name comes first alphabetically, we run into a bit of a problem. There are quite a few places in Scotland with Gaelic names which start with an accented ‘À’, such as Àird a’ Mhulaidh. Do these come before the ‘A’s? Or after? Or should they be treated the same? And then how do you treat spaces and punctuation marks? There’s an A’Chill on the Scottish island of Canna, but there’s an Aaron’s Hill in Godalming, Surrey. Which of these comes first? With road names, there are loads of names which begin with numerals (eg. “3rd Street”). Since we’re sorting alphabetically, 10th Avenue in Hull, beats all the other numerical public streets. If we just look at non-numerical roads, then depending on how we deal with spaces and punctuation, the winner is either A’Becket Gardens, A Court, or Aachen Way. 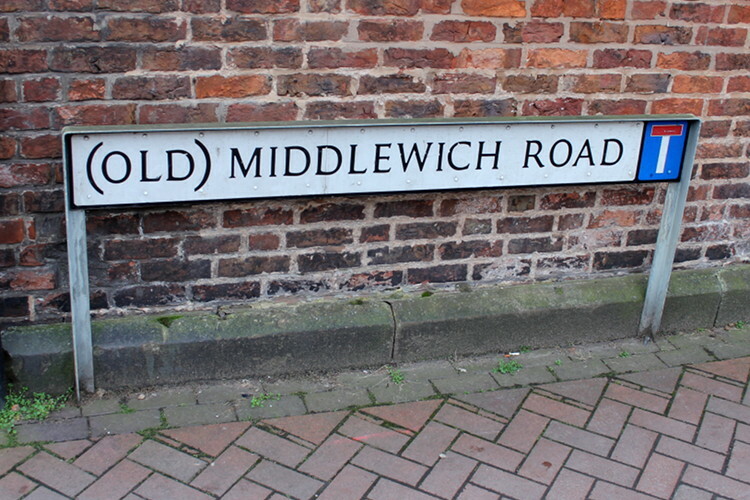 There is, however, only one public road in the whole of the UK which starts with a punctuation mark, and that’s (Old) Middlewich Road in Sandbach, Cheshire. The shortest UK place name is Ae in Scotland, which you can’t actually search for on Streetmap because you have to enter at least three letters. The shortest road names in the UK are Rye in Puriton, Somerset, Ash in Swindon, Alt in Widness, Cheshire, and Red in Media City, Salford (although I think this is more of a ‘zone’ than a street). The longest place name in the UK is North Leverton with Habblesthorpe in Nottinghamshire (note 2). The longest street name is slightly difficult because all the leading candidates are problematic in some way. I’m going to straight away discount any names which have a sub-name in brackets, such as Alfred’s Way (East Ham And Barking By-Pass). The next candidate is Queen Margaret’s Road Industrial Estate, near Scarborough. This sounds like it’s the name of the estate itself, rather than the road running through it. But the name does appear on a street-name sign, so I’m going to tentatively say that this is the longest street name. The road names with the longest single words in them are Killingwoldgraves Lane, and Pontrhydfendigaid Road. There are 90 road names with all the vowels occurring once in alphabetical order. They all end in either -Court (84) or -Mount (5), except for Water Mill Clough. The shortest are: Averil Court and Azelin Court, and the longest is: Blakely Hill Court. There are no place names with all the vowels occurring once in alphabetical order. There are 3 road names with all the vowels occurring once in reverse-alphabetical order. They are: Cupronickel Way, Furrowfield Park, and Upton Bridle Path. There are 2 places with all the vowels occurring once in reverse-alphabetical order. They are: Burton Pidsea and Burton-in-Kendal. The longest place name with no vowels is Ysbyty Ystwyth (it’s Welsh). The longest place name with no vowels or ‘Y’s is Cwmffrwd (it’s also Welsh). The longest road name with no vowels is Stryd Bryn Hyfryd (it might shock you but this is Welsh as well). The longest road name with no vowels or ‘Y’s is Cwrt Gwscwm (guess where this is). Only one place name contains only vowels, and that’s the aforementioned Ae. No road names contain only vowels. There are 27789 road names with no recurring letters. 11 of these are joint-longest at 15 letters long. They are: Bankfields Court, Finglesham Court, Fitz Wygram Close, Lindsaybeg Court, Mountfields Park, Ploughbank Drive, Ploughmans Drive, Plymouth Gardens, Polyanthus Drive, Spring Thyme Fold, and Windlesham Court. There are 8040 place names with no recurring letters. 3 of these are joint-longest at 14 letters long. They are: Bricklehampton, South Fambridge, and Stocking Pelham. The largest number of different letters in a road name is 18. Of the 4 road names for which this is the case, the shortest is Back Springfield Mount with only I and N recurring. The largest number of different letters in a place name is 15. Of the 13 place names for which this is the case, the shortest are Bridge of Muchalls, Kempston Hardwick, and Michaelston-y-Fedw – each with only a single letter recurring. The most times the same letter appears in a place name is 6. Of the 12 place names where this is the case, the shortest is Moorwood Moor. The most times the same letter appears in a road name is 7. 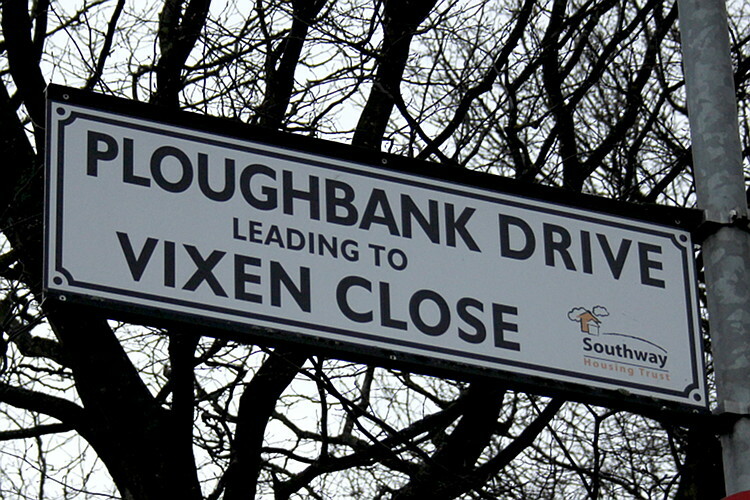 Of the 7 road names where this is the case, the shortest are Bereweeke Avenue and Llanllowell Lane. There are 43 place names with all letters in alphabetical order. The longest, with 6 letters, is Gilnow. I did turn up the name ‘Achilty’, which would be longer, but I can’t actually find an inhabited place with this name! If we allow repeated letters, the longest become Gillmoss, and Hillmoor. There are 29 place names with all letters in reverse-alphabetical order. The longest, with 5 letters, is Tonge. There are 5 road names with all letters in alphabetical order. The longest, with 6 letters, is Belmor. If we allow repeated letters, the longest become Hill Moor, and Hillmoss. There are 3 road names with all letters in reverse-alphabetical order. The longest, with 6 letters, is Trigfa. Weirdly, one of the other roads is called Solid! There are no place or road names starting with the letter ‘X’. The road name with the most ‘X’s in it is Felix Baxter Drive. The longest palindromic place name is Glenelg. The longest palindromic road name is, bizarrely, also Glenelg, although Renald Lane is only one letter away from being a palindrome. The place name with the most double-letters is Royal Wootton Bassett with 4. The road names with the most double-letters are Ffordd Dillwyn-Llewellyn and Ffordd Ffriddoedd with 5. 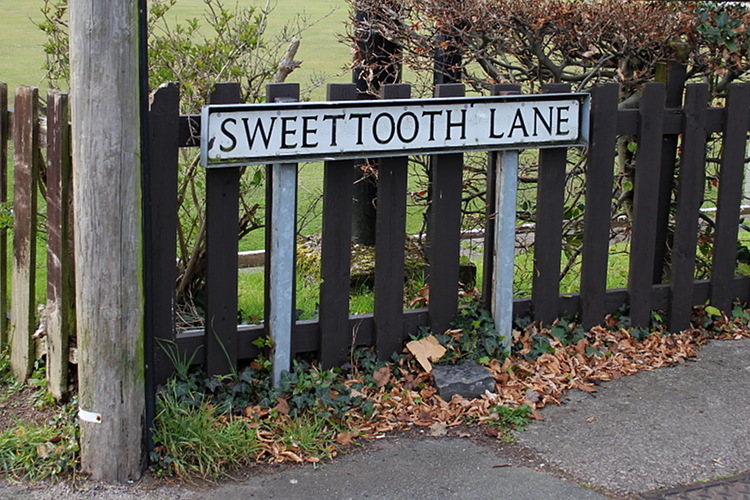 The street with the most consecutive double letters is Sweettooth Lane. Only one road name has triple letters, and that’s Richard III Road. The public road with the highest number in it is Hortonwood 67. The only place name to contain Roman numerals is Ruyton-XI-Towns. These are the roads which are so good they named them twice: Ha-Ha Road, Lewis Lewis Avenue, Mull Mull Street, and Wick Wick Close. There are 9 roads which start and end with the same word. They are: Hill House Hill, West Drive West, Ffordd Pant-Y-Ffordd, Lane Ends Lane (#2), Lane Head Lane (#2) (#3), and Lane Side Lane. The longest road name which can be typed using only the top row of a QWERTY keyboard (and space) is Pottery Row (#2). The longest place name which can be typed using only the top row of a QWERTY keyboard (and space) is Upper Tote. The longest road name which can be typed using only the middle row of a QWERTY keyboard (and space) is Ash Fall. The longest place names which can be typed using only the middle row of a QWERTY keyboard (and space) are Halsall, and Hassall. The place name with the highest Scrabble score is North Leverton with Habblesthorpe with a score of 54 (note 2). The place name with the highest average Scrabble letter value is Wix with 4.33. The longest place names made up of letters with a Scrabble value of 1 are Littlestone-on-Sea and Alltan an t-Salainn. The street name with the highest Scrabble score is Blairmuckhole And Forrestdyke Road with a score of 57. The street names with the highest average Scrabble letter value are Zig Zag and Jex Way with 4.33. The longest road names made up of letters with a Scrabble value of 1 are Little Russell Street and Littleton Street East. WHAT?! Another road name after Zurich Gardens? I struggled to find it on the map at first, but after locating it, I decided to visit and see what was going on. It turns out that it’s not a road, it’s an apartment block (although there is a short private road through the property). Apparently some apartment blocks are listed in the A-Z! In the OS data, the well-known long-named Welsh town of Llanfair­pwllgwyngyll­gogery­chwyrn­drobwll­llan­tysilio­gogo­goch is named Llanfair Pwllgwyngyll. I have no idea why. It’s possible this is its official name, I don’t know. The full-length version of the name has a length of 58, and a Scrabble score of 110.
until I visited BUCKFASTLEIGH in Devon (13 letters) last month. BAH, the title was false..
Now, I find that even that is false as you name BRICKLEHAMPTON (14 letters). PS- unusual road name in Rochdale- UNCOUTH ROAD. No idea how it got the name. Further to previous post, I discover that BUSTLINGTHORPE in Lincolnshire also has 14 different letters. You can’t rely on anything nowadays.. I presume you mean BUSLINGTHORPE at 13 letters? You’ve added an extra ‘T’! Ah… I hadn’t spotted that (sighs deeply…) It still leaves BRICKLEHAMPTON though..
> I wondered if there was an easy way of doing an online search for town and street names, so I could find funny ones. The popular mapping sites are great if you want to search for a specific name, but I was looking for somewhere you could do more general substring searches, or ideally regex searches. Also, you found Huddersfield’s oddest-named street: Solid! Here are some more mononymic odonyms from close by: Banks, Dockery, Equilibrium, Exchange, Marsh, Sentry, and the little pretender Paris. I discovered this blog just today and I like it a lot. Many years ago I lived in Forsyth Gardens, London S.E.17, its a small square , part of the Brandon Estate. There was a road sign at each end of the square (?) one read ‘FORSYTH GARDENS’ and the other read ‘FORSYTHE GARDENS’. I left the area a long time ago, I do wonder if the signs were ever corrected. However, in St James’s Park tube station, the roundel on one platform says “St. James’s Park”, and on the other it says “St. James’ Park”!! Unfortunately for your analysis, the Welsh alphabet is a little bit different to the English one. In Welsh, both “y” and “w” are vowels, so all of your examples of vowel-less names do in fact have multiple vowels. Also, in Welsh, “ch”, “dd”, “ff”, “ng”, “ll”, “ph”, “rh” and “th” are all single letters — which means Ffordd Dillwyn-Llewellyn and Ffordd Ffriddoedd technically have no double letters. This also means Penbontrhydyfothau has one letter less than you think! I do find it weird though how something like ‘ch’ is considered a letter. I mean ‘c’ and ‘h’ are both used individually. And it’s not like an individual phoneme is a letter, otherwise ‘ch’ would be one letter in English also. Yeah but. If you are going to count graphenes then the English ‘th’, ‘ch’ and ‘ph’ are really going to mess up your counts, and don’t get me started on diphthongs. In Spanish, CH and LL and RR were also letters, as is Ñ, but a few years ago the Spanish Academy gave up on this as modern software couldn’t cope with it. They saved the Ñ though, but it can’t be used in email addresses. The junction was remodelled and it disappeared. Sad. As everyone knows, many cities in the USA and Canada use the simple (but boring) system of having numbered streets with numbered avenues at right angles to the streets. (You can find 1st, 2nd, 3rd, 4th and 5th Streets in Birmingham, but that was a pretty half-hearted adoption of that system.) When I went to Fort St John in British Columbia many years ago the numbers went from 90 to 110 in both axes. I don’t know if they looking ahead to a time when Fort St John would have millions of inhabitants, but the last I looked it had expanded a bit, but not all that much. However, the country where you can find this system taken to its logical extreme is Colombia, where it is used everywhere, from Bogotá to the smallest village. When I looked a few months ago it was easy to confirm, even for places with a couple of hundred inhabitants, but Google Maps seem to have dropped the street names from the smallest places. However, if you search for, say, Taganga you can see that it is used in a place with only 5000 inhabitants. Why not just give them names? That seems like the kind of decision which is made at the end of a very long and tedious meeting. Just came across Vowels Lane, near East Grinstead, this morning. Named by a punctuation nerd, maybe?